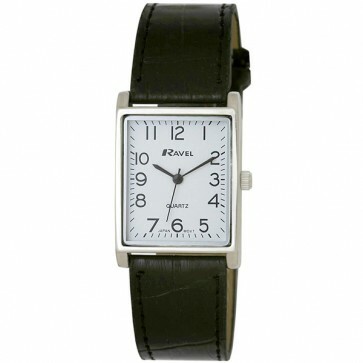 The Ravel Mens R0120 watch is a classic. With it's faux leather strap and bold, clear, concise easy to read dial the R0120 combines basic functionality and comfort. With it's rectangular case offers something a little different from the rest of the Ravel classic range. Polished Rectangular Case - 26mm.